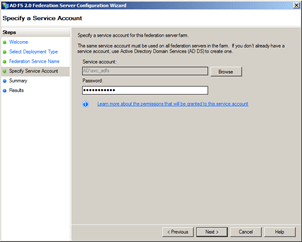 When configuring Office 365 for Single Sign On, Active Directory Federated Services 2.0 (AD FS) is the component that’s used to allow Office 365 to authenticate user accounts against your local Active Directory. 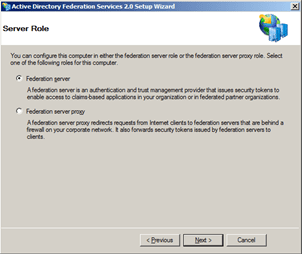 In this article, we’ll walk through the installation and configuration of a Highly-Available AD FS environment, then the subsequent publishing via Microsoft Threat Management Gateway 2010 (TMG). In particular we’ll look at how to configure TMG publishing so that pre-authentication and single forms-based login is achieved in an Hybrid configuration, which you’ll see in action in my article Enabling Silent OWA Redirection for Office 365 Hybrid. 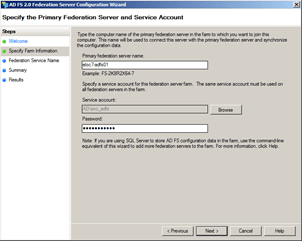 The federated domain you are using registered in Office 365. If you have a primary domain used for mail, but use a subdomain for Active Directory User Principal Names, consider registering the root domain in Office 365 (e.g. contoso.com) only, then we’ll add the sub-domain (eg. ad.contoso.com) later on during this process. User Principal Names set for all users who’ll use the service using a valid domain name that can be registered in Office 365. If you’re using something like contoso.local for UPNs, then you’ll want to sort this first. The Office 365 Deployment Readiness Tool is invaluable when investigating what you need to fix or update. 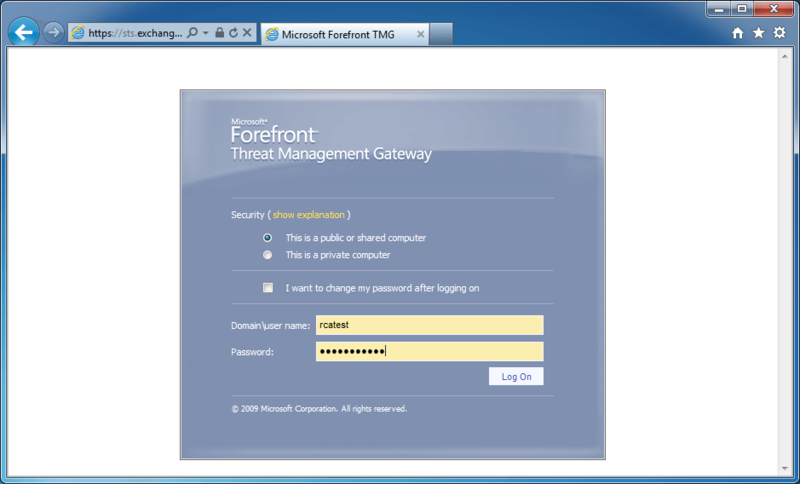 Threat Management Gateway 2010 server/array already in place using pre-authentication. We’re not going to concentrate on the installation and configuration of TMG in this article. 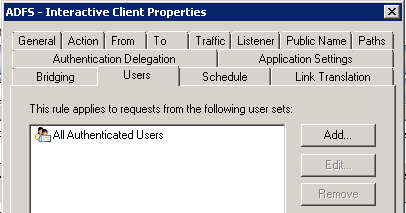 For our deployment, 2 Windows Servers (preferably 2008 R2) joined to our Active Directory. 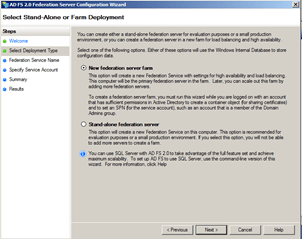 We’ll be using the Windows Internal Database option for the AD FS 2.0 farm which is suitable for all but the very largest deployments. A service account to use for AD FS. This doesn’t need any special privileges in Active Directory and is used by all AD FS servers within the farm to communicate. For our example, it’s called svc_adfs. 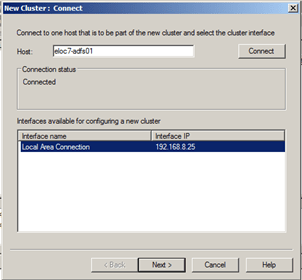 An internal IP address to use for Windows Network Load Balancing on the AD FS servers. 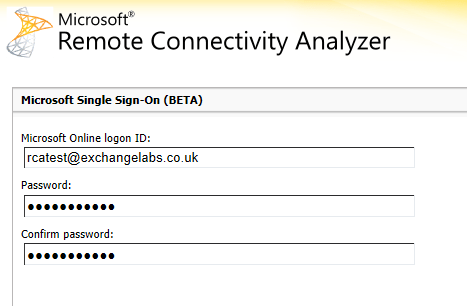 Either by-pass of proxy authentication or a direct connection to the MSOL services on port 443. If you’re using a proxy, configure the correct settings and test them in Internet Export, then use the netsh winhttp import proxy source=ie from an elevated command prompt to import them. And as always, a test environment to try this out in first is ideal. 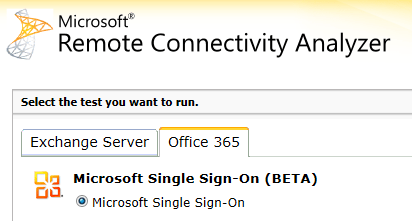 If you’ve got the resources to setup a test environment, you can use an Office 365 trial with a sub-domain of your primary domain, and then later on register your root/primary domain with your “proper” Office 365 tenant without issues. Before we install and configure AD FS 2.0 itself, we’ll install the following on each of the two servers. The module for PowerShell will be used to manage the AD FS trust between the local Active Directory, and Office 365. 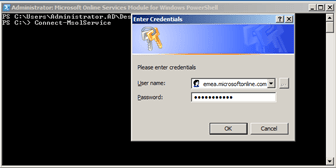 You’ should be prompted for your Office 365 administrator credentials, If you can’t connect – it’s time to check outgoing port restrictions or proxy configuration settings. 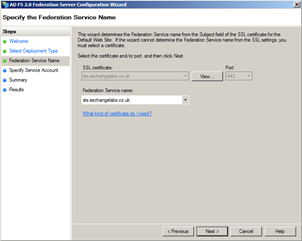 Before we configure AD FS, we’ll ensure the correct certificate is in place on both servers so that during configuration we’re able to select it when prompted. 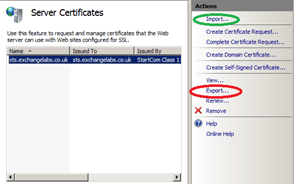 As we’ve got IIS installed, we’ll import the certificate using the IIS Management Console. 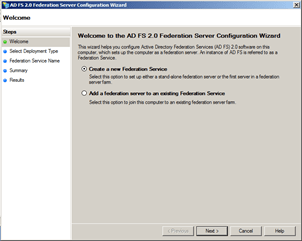 Now we’ve got the servers themselves ready with pre-requisites, certificates and of course AD FS itself, it’s time to get on with the business of configuring AD FS. The first server in the AD FS farm will be the Master, and there’s a little more to configure on the first node. The configuration process should then begin, installing additional components as necessary and configuring the federation service. 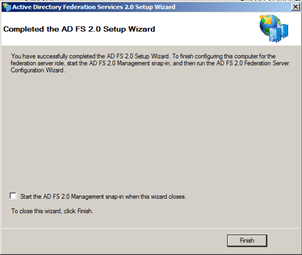 On the second server (and subsequent ones after that), launch the AD FS 2.0 Management snap-in, and then click to launch the AD FS 2.0 Federation Server Configuration Wizard just like we did on the first server. 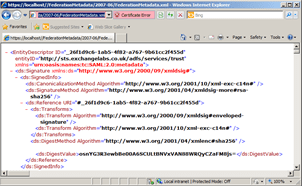 To test, follow the same steps as we performed on the first server to check the XML metadata is shown correctly (https://localhost/FederationMetadata/2007-06/FederationMetadata.xml ) and look for Event ID 100 in the AD FS Admin event log. The Windows Network Load Balancing feature of Windows will be used to allow us to provide the highly available aspect of the AD FS service, providing a single IP address that our TMG infrastructure will connect to. Before we can configure NLB, ensure you install the Network Load Balancing Feature from Server Manager. 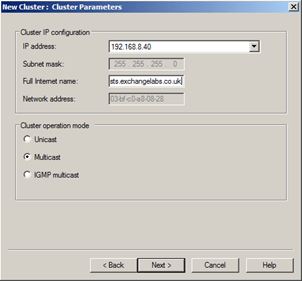 To test your NLB configuration make sure you can successfully reach the NLB IP address both from remote hosts within the same subnet, and from other hosts in different subnets and sites, if required. Now that we’ve got a working AD FS infrastructure in place, it’s time to configure the relationship between AD FS and Office 365 itself. 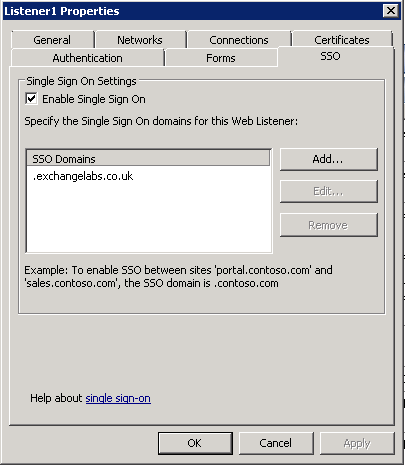 Before we continue you’ll remember in the pre-requisites, I noted that if you’ve got a primary domain (such as contoso.com) but use a sub-domain for your User Principal Names or AD domain, then we should register the primary domain first in Office 365. We’ll also convert that domain first to federated, then add the sub-domain (e.g. ad.contoso.com) as a federated domain afterwards. That will make it a fair bit easier if you decide, at a later date to start using your primary domain as part of User Principal Names at a later date. In preparation for using Threat Management Gateway 2010 to publish AD FS, we’ll disable Extended Protection for Authentication. 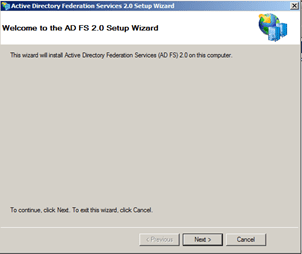 Then, restart the AD FS Services on each host and run an iisreset on both hosts. 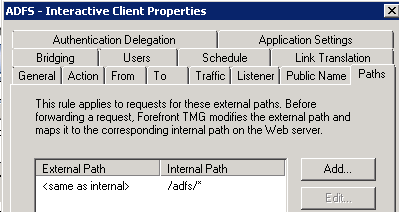 There’s a couple of ways to publish AD FS with TMG – the first of which is simple pass-through where typically you would setup forms-based authentication, or avoid TMG altogether and use the AD FS proxy servers. 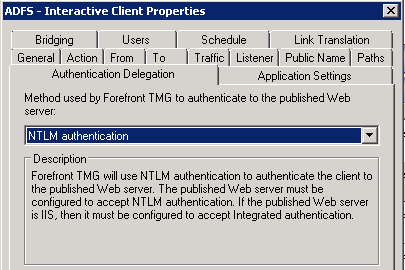 The second way, which I’m going to show you how to configure here, is to use TMG pre-authentication, using a domain-joined TMG which then uses NTLM authentication to authenticate to the AD FS servers. 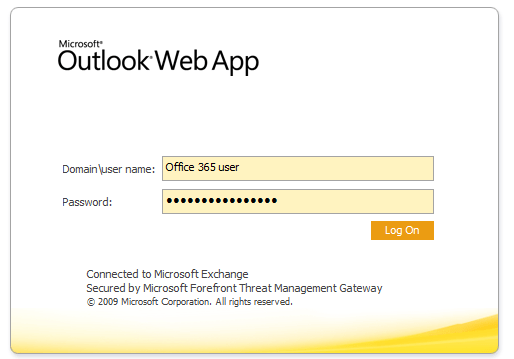 The benefit of doing it this way really comes into it’s own in Hybrid deployments, where you will have users continue to sign-in to Outlook Web App at the existing OWA URL. By using the Single-Sign-In features of TMG, we can then ensure that the user only needs to sign-in once for OWA whether it’s on-premise or in the cloud, and existing experience customizing TMG login forms can be re-used. 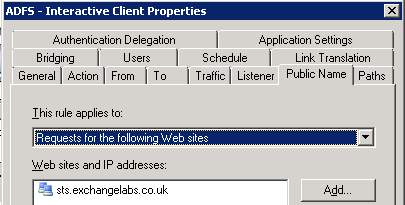 We’re currently using a domain-joined TMG to publish Exchange, with a configured and working listener. 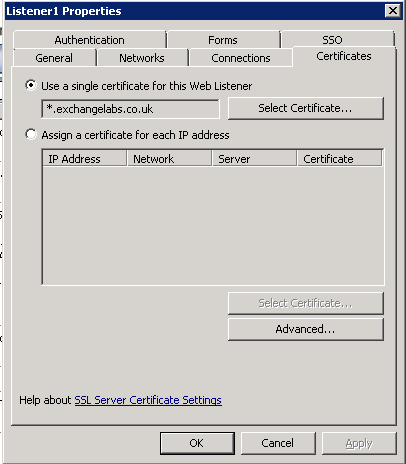 The certificate we’re using for AD FS is suitable to be used on the existing listener – e.g. it’s a SAN cert with the Exchange names and the AD FS domains, or a Wildcard cert. When checking these values, a point of note is the Paths, Authentication Delegation and Users will be different for either rule. Once this is in place, before we continue to configure DirSync and Exchange Server 2010, we’ll want to test that at a basic level everything works as planned. 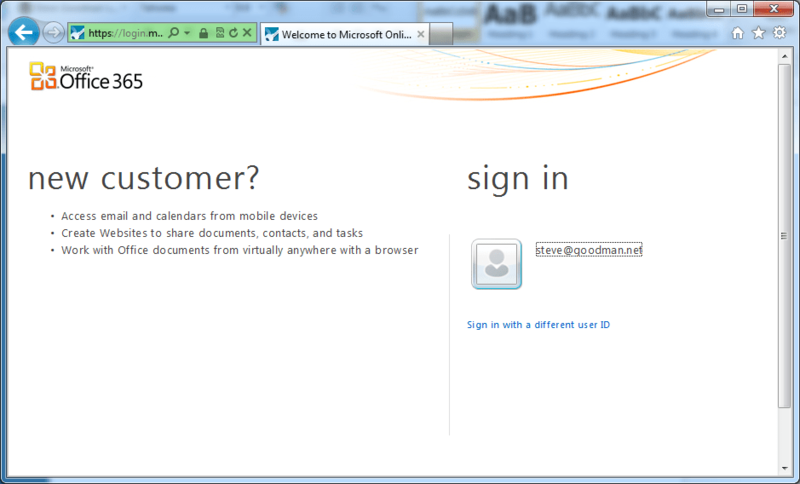 After this point, we’ll be happy to see that the Rich Clients – like Outlook and ActiveSync will work fine. That’s not what we’ll want to see after we’ve installed and configured DirSync, but for now this is fine. 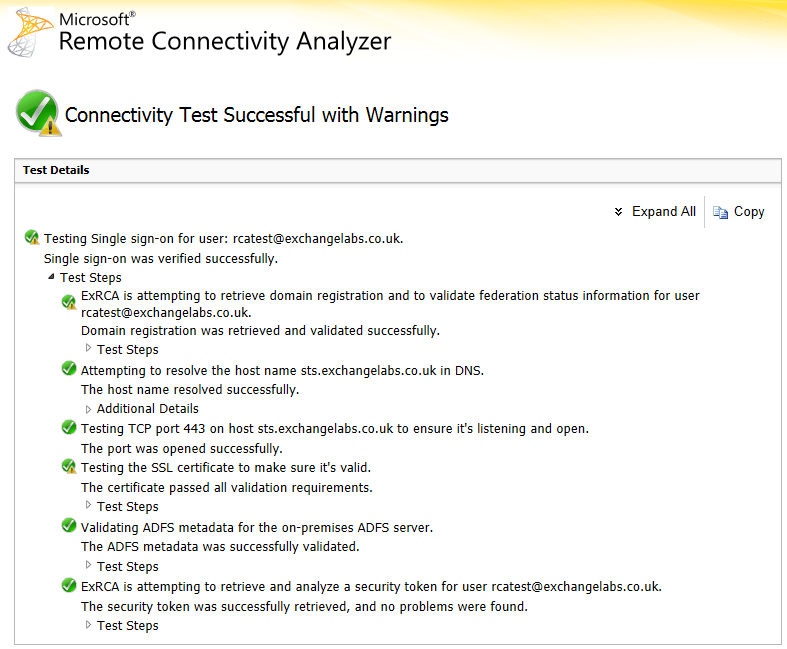 We’re just testing the rule at this point, and we know ADFS should be working from the Remote Connectivity Test we performed in the previous step. The next steps after configuring your AD FS and TMG vary from organization to organization, and the Exchange Deployment Assistant can help you pick the right way forward. 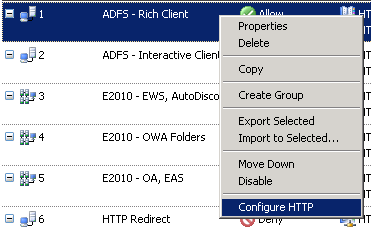 Typically, for this kind of deployment you’ll be looking at configuring DirSync next (which I’ll cover for completeness in a future article) then moving on to running the Hybrid Deployment Wizard in Exchange Server 2010 to join up your on-premises organization with Exchange Online – this is where an AD FS 2 deployment set up this way may be very useful, as the login experience for users you move to Exchange Online can be near-identical to the on-premise login process. Thanks man this tutorial helps me a lot, i just follow all the steps and every thing is fine. Very nice article Steve, the part of defining the 2 rules helped me further on my ADFS connection ! Thanks and keep up the good work. 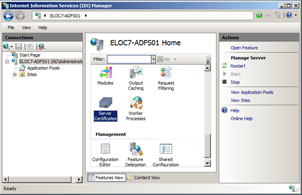 In this procedure You are enabling NLB in the ADFS Servers? it is correct? It is supported by Microsoft. When you say “If you’re using something like contoso.local for UPNs, then you’ll want to sort this first.” are you referring to needing to match the internal user domain w/ the email domain? We’re currently working through this portion of the migration and are trying to determine if we have to modify our internal UPN’s to the public domain or if there’s some other option. Very nice article indeed Steve. I’m somewhat rough around the edges with TMG and I’m building this set up in a lab to prove to a large client moving to O365 that’s looking at ADFS. 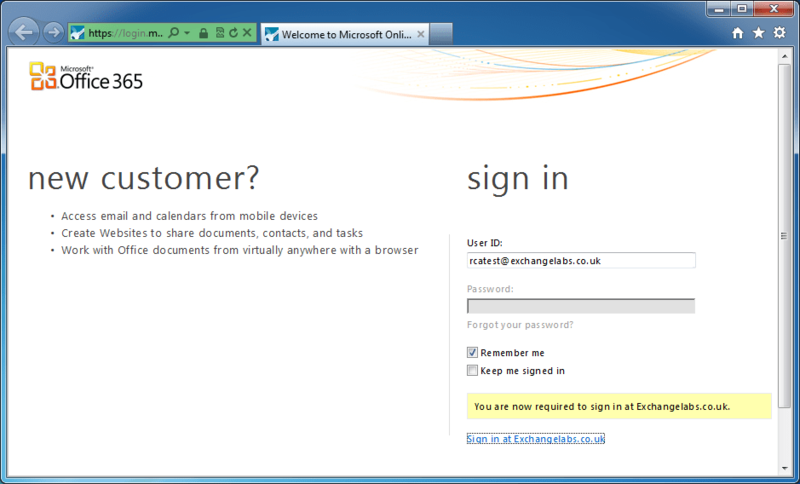 I’ve created the rules exactly as you specified, however after logging on to the Outlook form with an O365 logon from an external machine, it kicks me to the TMG form for the STS logon. If I re-enter my creds again there, it then takes me into O365 OWA. This isn’t broken, but it’s much like the original expected behavior for off-domain clients I was witnessing before trying to set this up, except the NTLM box has been replaced by a form. It’s like SSO isn’t passing the credentials along properly or maybe the STS doesn’t accept them? Any thoughts on what I’m missing here? Thanks. Nice article Steve, I will be deploying the exact configuration in my clients environment.